This book goes through the arrival of the faith in the south west Louisiana region ~1765 through the year 2001, including the actual founding of the Diocese of Lafayette which was Created out of the Archdiocese of New Orleans Territory in 1918. 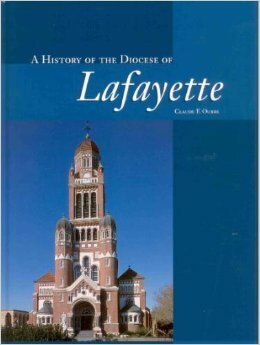 This year marks the Centennial year of the Diocese of Lafayette and this book could use an update. That being said it is a great story of a faithful faith filled community.